Yesterday was Josh Lampert’s birthday. Josh, as some of you may remember, has written for the blog before and is still technically writing his Top Guitarists Section. The man above is certainly included on his list. For Josh’s birthday, I bought him a slide for his guitar. We jammed for a while, Josh playing the slide and soloing over songs like “My Sweet Lord.” I made him play the opening riff. I was reminded of one of the masters of slide guitar during our birthday session. Robert Johnson. 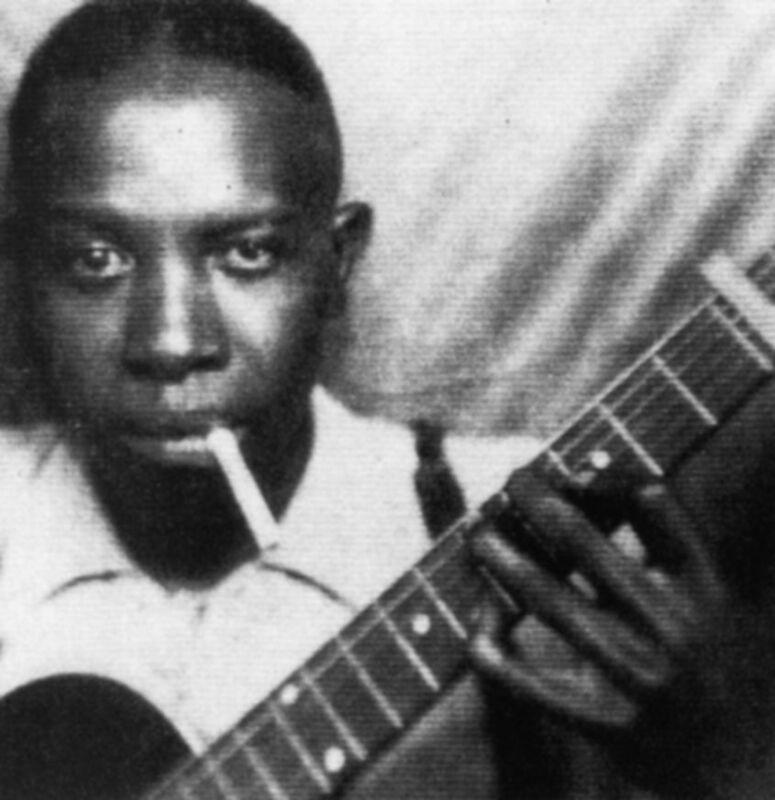 Robert Johnson, who started the famous die at 27 music curse, was definitely a progenitor of popular slide guitar work. He played slide Delta Blues, music that originated from the Mississippi Delta, and he played the music with such rawness and precision that he left a lasting imprint in blues music style. Listen to this exceptional example of Johnson’s blues slide.